Chen, D, Goris, B, Bleichrodt, F, Mezerji, H.H, Bals, S, Batenburg, K.J, … Friedrich, H. (2014). 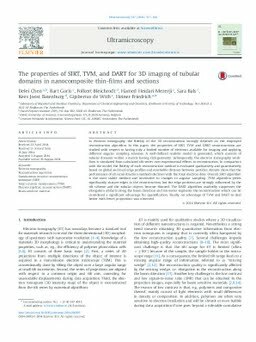 The properties of SIRT, TVM, and DART for 3D imaging of tubular domains in nanocomposite thin-films and sections. Ultramicroscopy, 147, 137–148.